Data centers, server farms, and other technical areas are all vulnerable security points with a driving need to control access. 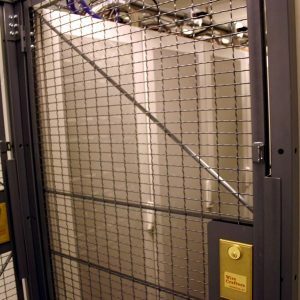 Equally important, companies have millions of dollars of digital assets on servers and often depend on just a locked room to keep them safe. 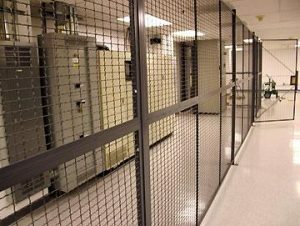 Wire mesh partitions and data center cages, are perfect because can fit nearly any configuration from a continuous long wall to doors between blade server racks to secure access. 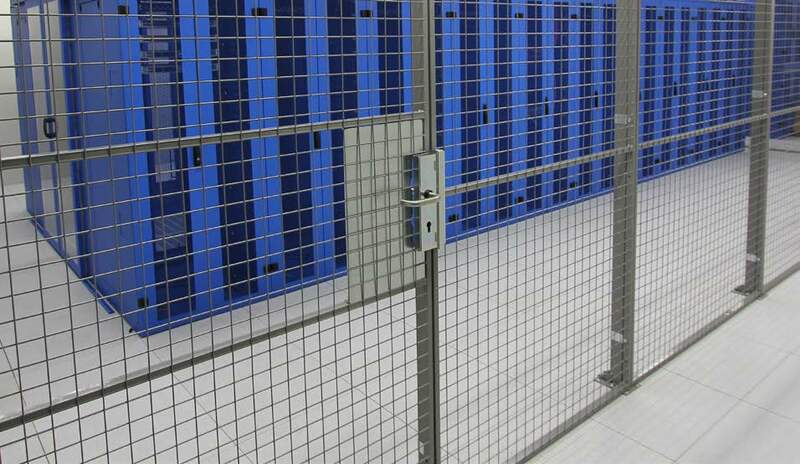 In addition, data center cages don’t inhibit ventilation or heat discharge. 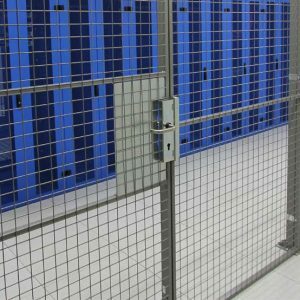 Not to mention, Rhino cages are a modern looking security feature, unlike some fencing that makes the room look like a warehouse. 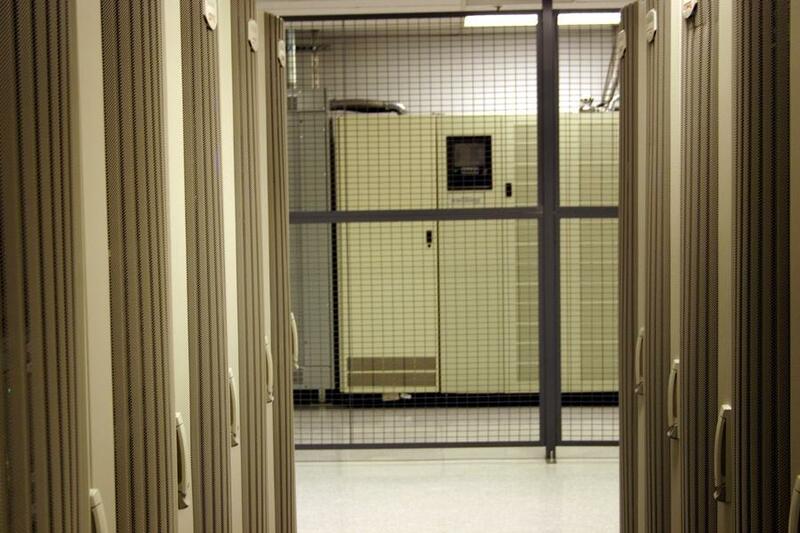 Partitions are built with durable 3/8″ hardware. Once installed, the hardware is not accessible from the exterior. 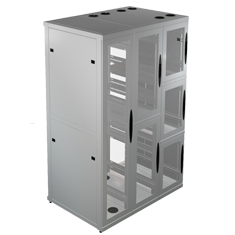 Furthermore, the panel’s all welded construction, combined with the posts welded base plates, provide unequaled strength and security. 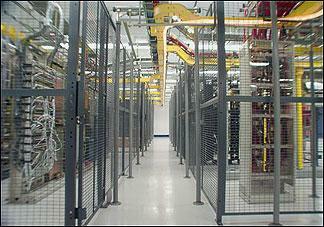 Wire mesh panels are 1′ to 10′ wide, and 4′ or 5′ high. Full height partition walls are built by stacking two or more panels between standard posts. 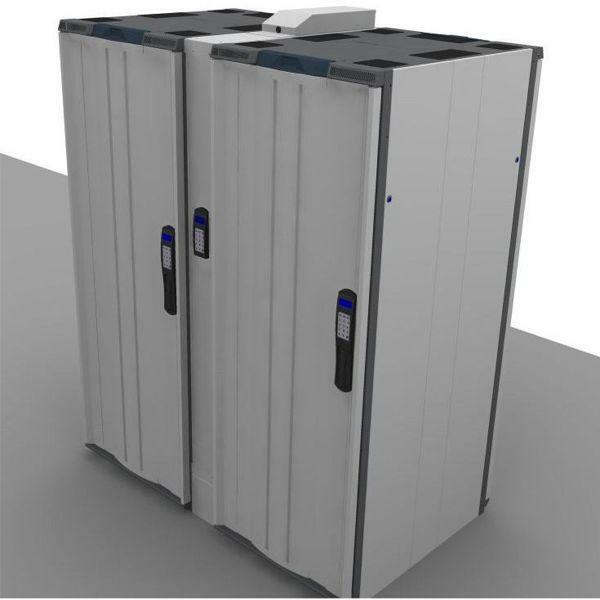 Configured for a standard 3-1/4” sweep-space, with posts that project 2″ above the panels. Standard panels can be used in ceilings or walls. Flush to the floor partitions can be made by modifying the post’s standard hole layout. 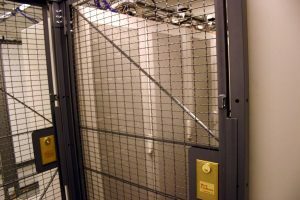 Panels are constructed of 10 gauge (.135) steel wire, woven into 2″ x 1″ rectangular mesh and securely welded to a 1-1/4″ x 1 1/4″ x 1/8″ steel angle frame. Frames have 7/8″ x 7/16″ slotted holes for mounting to posts and adjacent panels. Panels 4 to 7 feet wide have one 1/4″ x 3/4″ stiffener welded to the frame. Wider panels have two stiffeners. Ceilings, posts, & windows ceilings are the same panels as walls. They do not bear loads. Clear spanned up to 35′. Large ceilings supported by 2″square horizontal ceiling tubes. Add a ceiling to an existing partition without changing layout. Posts are made of 2″ x 2″ x 14-gauge (.083) steel tubing. Base plates of 2″ x 7″ x 1/4″ steel flat with two 7/16″ round holes for floor anchoring, are welded to each. A decorative cap tac welded to the top of the post. 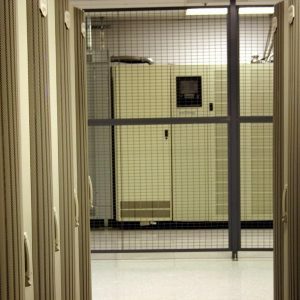 You can add service windows to increase the functionality of your partition. The lockable, slide-up window locks tight when unattended. Window opening: 24″ wide x 20″ high. Shelf size: 24″ wide x 18″ deep x 10 gauge. 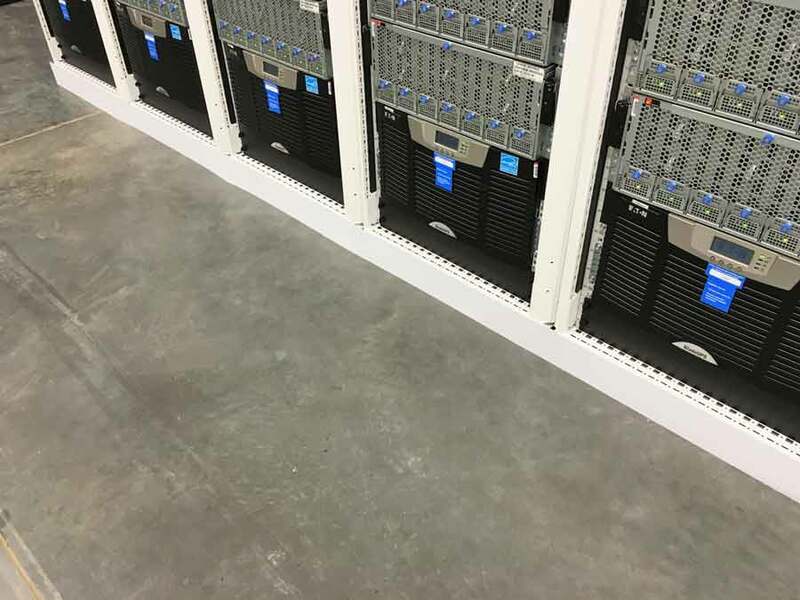 Shelf height: 421/4″ off of floor level. Panel size: 4′-0″ wide x 8′-0″ high; transoms extend height to 10′ or 12′. 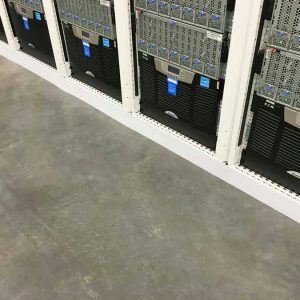 Your facility wall must be able to accommodate wall or ceiling panels to utilize 2 or 3 sided partitions without at-wall post connections. 4-wall partitions are freestanding and do not need to be anchored to a building wall. One wall partitions typically have posts at each end, but may be ordered without them if your wall surface is sufficient. Posts at the wall are recommended for dry wall, gypsum, or metal walls. Panels may connect directly tomasonry, block, and some wood walls without additional posts. 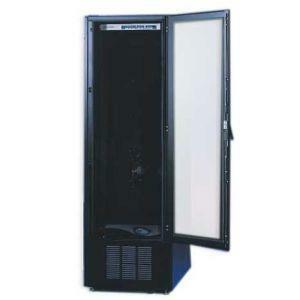 Hinged Doors 3′ or 4′ wide by 7′ -3 1/4″ high opening. Transom panel sized to match partition height. 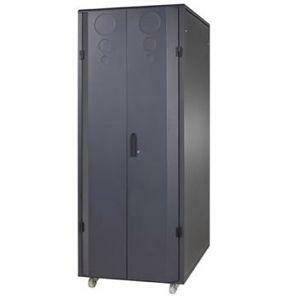 Doors equipped with three 4″ x 4″ 10-gauge tight pin hinges. Padlock lugs standard, cylinder locks available. Complete with two door posts and hardware. Universal construction, works for left or right hand, inside or outside swing. Dutch doors are the same as Hinged Doors, except that they have two separate operating door leafs. Bottom leaf locks with padlock, cylinder lock available. Top leaf locks to bottom with spring bolt. 10-gauge shelf, 18″ deep x door width fixed to bottom leaf. Must specify hand and swing of door. Double hinged doors available in 6′ or 8′ wide. They are 7′-3-1/4″ high; transom panel sized to match partition height. Inactive leaf secured by cane bolt (base)and chain bolt (top). Padlock lugs standard, cylinder lock available. Complete with two door posts and all hardware. Custom size and no overhead obstruction doors available. Sliding Doors come in 3′, 4′, 5′, 6′, 8′, or 10′ widths and full-height openings of 8′ 0″ or 10′ 0″. Padlock lugs standard,cylinder lock available. Complete with two door posts, two 4-wheel trolley trucks, 16 gauge track and all hardware. Universal construction, works for left or right hand, inside or outside. Custom size sliding doors are available. If the size or type of gate needed for your application is not listed above,contact us.